Russian entry for Junior Eurovision 2014 "Dreamer" by Alisa Kozhikina presented. Young artists of production center "Paradiz" trio "Sympho-Nick", which this year will travel to Malta to represent Ukraine at Junior Eurovision, are now actively preparing for the show. 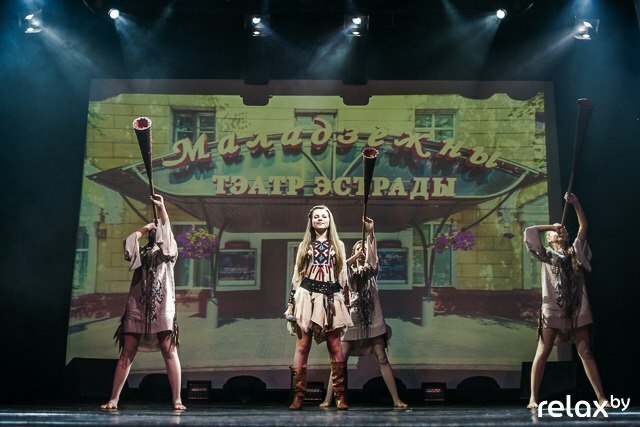 Together with famous composer and producer Mikhail Nekrasov, everyday Sofia, Marta and Amaliya spend on the rehearsals, where actively practice stage presentation of their entry, which actually will now has official title in English as "Spring Will Come". One of Ignatovi brothers who will be backing on pianos Krisiya Todorova at Junior Eurovision Song Contest 2014, Hassan Ignatov, is taking part these days in the 12th International Russian Rotary Children Music Competition taking place in Moscow, Russia. Watch his performances here: 1st round, 2nd round, Rehearsal 1, Rehearsal 2, Final. Hassan has ended 4th in the competition, despite he had no professional preparation and his only music teacher was his twin brother Ibrahim. You can read more about Krisiya and Ignatovi brothers on our Bulgaria page. Julia van Bergen will represent The Netherlands with "Around". Check more information about her at our The Netherlands page. Watch her first reaction here. Watch the show again here or separate videos on Youtube. Live: 19.00 CET, Junior Songfestival (The Netherlands), Final, NPO3/Z@pp, online. 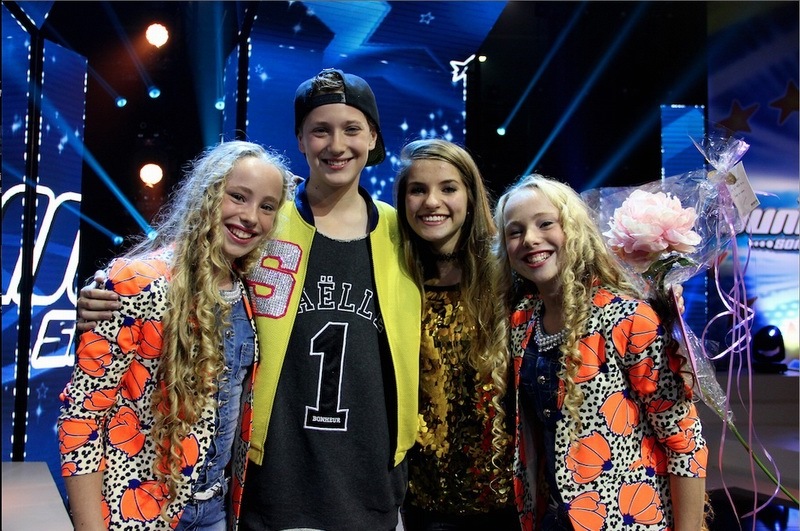 Watch rehearsals and interviews: Anne & Anique, Suze, Chelsea, Julia, Sebastiaan. Through the day - backstage reports with Mylène en Rosanne and live stream on AVROTROS website. Check the finalists in Zapplive and Kids Top 20. 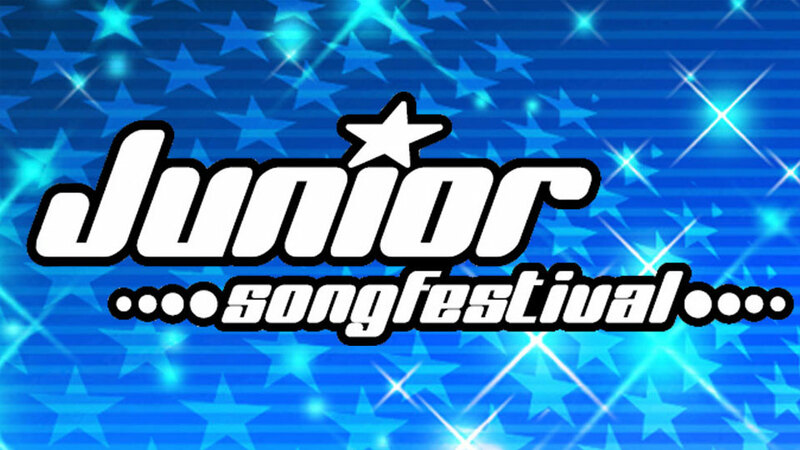 It didn't take AVROTROS long: Dutch broadcaster has opened submission period for Junior Songfestival 2015 not even after the international final in November, but right on the day of 2014 final. Watch Jan Smit's invitation here. Detailed regulations as well as FAQ are available here. Important change include that this year in addition to the original songs, entrants also should submit a cover version of a well known song. It may be recorded acapella, or with instrumental background. The covers sent in will not be published on the website, but still will take play in the auditions and choice of jury. As usual, it is not important to send in a contest entry recorded professionally. It is even enough to submit acapella version, as long as it still gives a good idea of the melody and the lyrics. 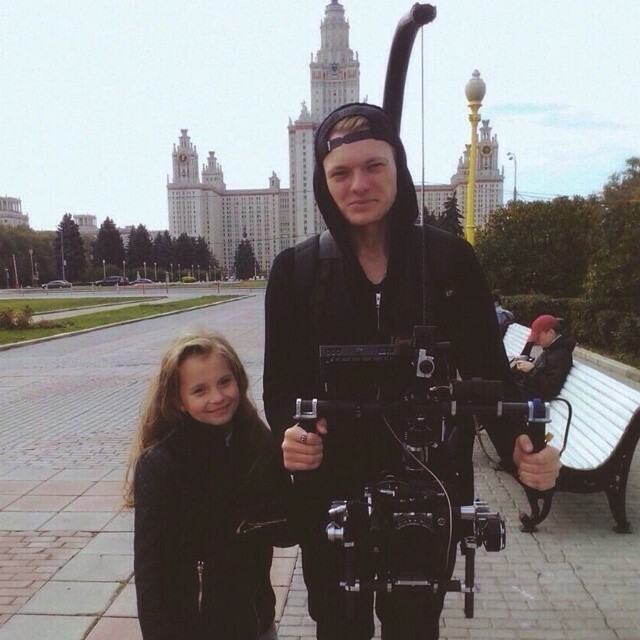 In creation and recording of the contest entry kids are allowed to be helped by adults. There, however, is a mention that wildcard for auditions may be granted only with self-written songs. Registration of the entries can be done online. Both songs (original and cover) should be first uploaded to Youtube, and then links filled in the registration form. It is also possible to send entries in by post on CD and DVD. The deadline to enter is March 7, 2015. Rulebook mentions that participants should not be younger than 10 and older than 15 on the day of the international final in 2015 - meaning that The Netherlands is certain to take part in the Junior Eurovision Song Contest 2015. "To have the first ever winners of Junior Eurovision back in the competition is a happy moment for us all. It’s looking like we’re going to have 16 countries taking part this year, which is a great number and I’m very happy to welcome to many countries both into and back into the Junior Eurovision family". At the same time Croatia has opted not to take part in adult Eurovision 2015. 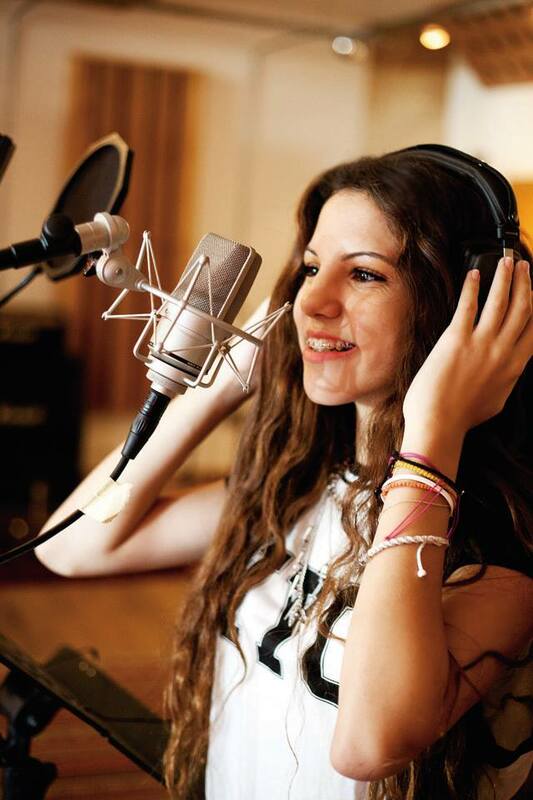 Five member girls band "The Peppermints" will represent San Marino at Junior Eurovision 2014 with the song "Breaking My Heart" penned by Luca Medri (member of Khorakhanè) and Chris Lapolla (member of Indigo light club). 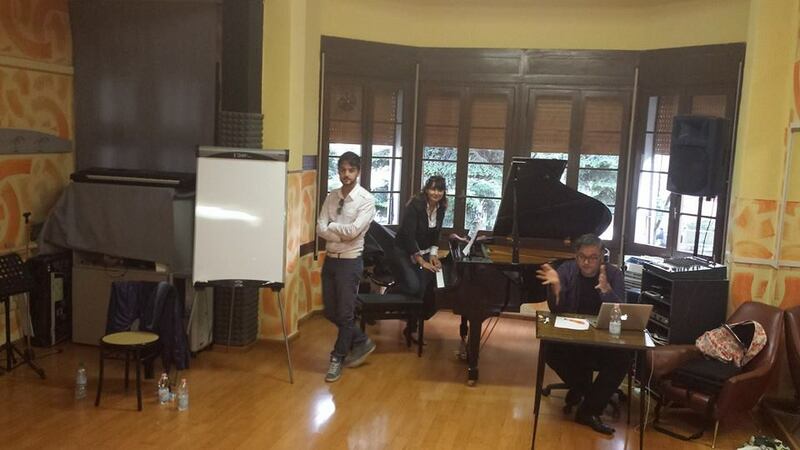 Artistic director and mastermind behind "The Peppermints", as well as coauthor of the song is Antonello Carozza, participant of San Remo, Amici, Russian preselection for Eurovision 2010 and mentor of last year's entrant Michele Perniola. Members of the group are 15-years old Anita Simoncini coming from Montegiardino, San Marino and Italians 14-years old Raffaella Perniola (sister of Michele) from Palagiano, Taranto province; 14-years old Greta Doveri from Cascine di Buti in the province of Pisa (she is known for her participation in "Io canto" on Canale 5 and "Sanremo Junior International" (runner-up), winner of more than 10 music contest), 15-years old Arianna Ulivi from Galeata in the province of Forlì-Cesena and 15-years old Sara Dall'Olio from Cervia in the province of Ravenna (winner of contests "La vela d'argento", "Voci Nuove a Villafranca", "La musica ci unisce" etc). The information has been reported today by the Italian TV magazine "TV Sorrisi e Canzoni". 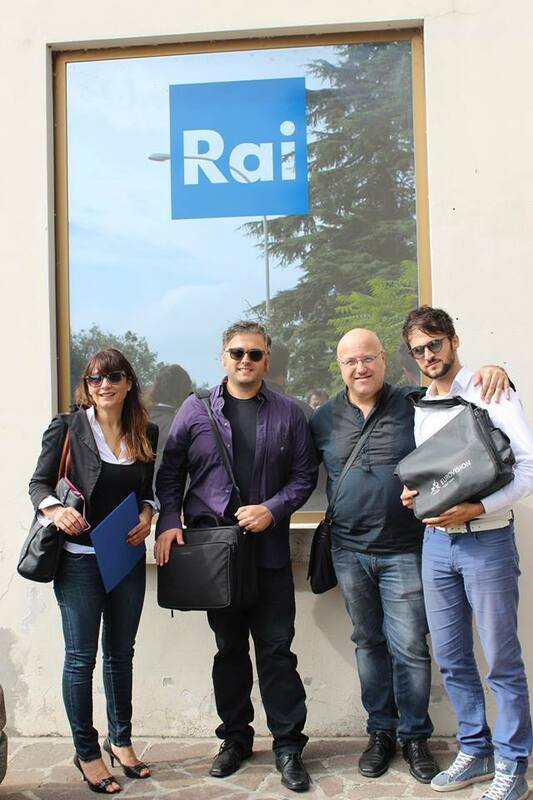 According to it all girls have indeed been chosen from the frames of the festival "Vocine Nuove di Castrocaro", which from now on will be partner of RTV San Marino for the Junior Eurovision preselection. It is known that Greta and Sara (3rd place in Junior category) were among the finalists in 2013 edition of the contest. The information on "The Peppermints" selection was 'yet unofficially' confirmed by artistic director of the project Antonello Carozza on his page in the social network. The entry of San Marino (artists and song) will be presented officially on Monday, September 29 at 13.00 CET on a special press-conference. Shootings of the Montenegrin music video today continued in Knightsbridge Schools International Montenegro, where in 8th grade studies one of the singers - Lejla Vulić, who proposed to do some shots in her school. The video was filmed today with the support of Lejla's classmates and students from other MYP years, and Mr Zach, math teacher. Third location for the shooting was Kotor Fire Unit. The complete video expected to be released next week. Eurofestival website reports today that Eurovision TV Comittee has postponed without approval proposal of Junior Eurovision Steering Group to allow non-EBU member channels taking part in the competition. Earlier, EBU executive supervisor of the contest Vladislav Yakovlev informed that EBU is running negotiations with several commercial broadcasters interested to join Junior Eurovision, from countries where EBU-member broadcaster definitely rejected proposal to take part in the competition, especially noticing such an interest in Spain. Current decision will not allow such commercial channels to enter the show at least in 2014. Current Junior Eurovision rules state that only Active EBU member broadcasters can take part in the contest, adding "The EBU reserves the right to modify the format of the Show, subject to the Steering Group seeking the prior approval of the Eurovision Television Committee". 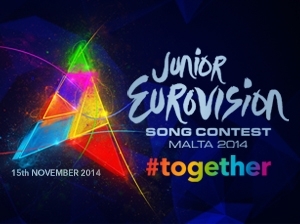 The final decision on this issue will be taken only after the end of JESC 2014. (The Twitter quote below has a mistake, it should read JESC 2014 and not 2013). Maša Vujadinović and Lejla Vulić have been spotted today doing video shootings at Pine waterfront in city of Tivat. Municipality of Tivat offered them their support in production of the video and will also sponsor some other costs, airing their tourist advert during the broadcast of the show in November. Listen to the sample of Montenegrin entry and watch short video from shootings here. Shootings will continue in Kotor tomorrow. Music video is being directed by Draško Đurović, cameraman Vesko Balandžić. 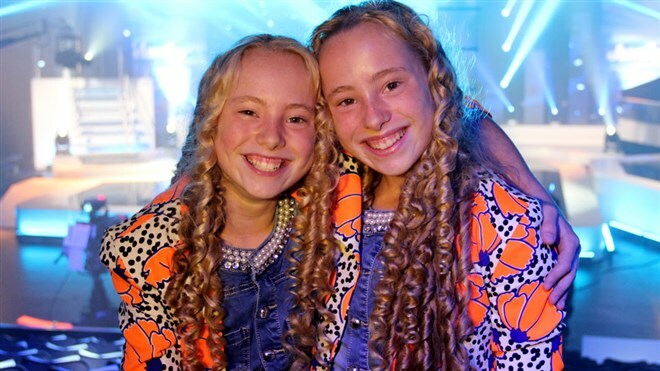 Everyone's favourites Mylène and Rosanne will be doing Junior Songfestival backstage reports throughout the day of final - Saturday 27th September. Do you have a question to the finalists or host Jan Smit? Send your question here and maybe your question will be answered in a backstage video. The finalists will be all day in the studio to rehearse, to fit in their outfits and do make-up ... but there is also plenty of time for socializing. Besides backstage reports there will also be a special cameras installed in backstage in the make-up room and in the studio, so visitors of AVROTROS website won't miss anything! 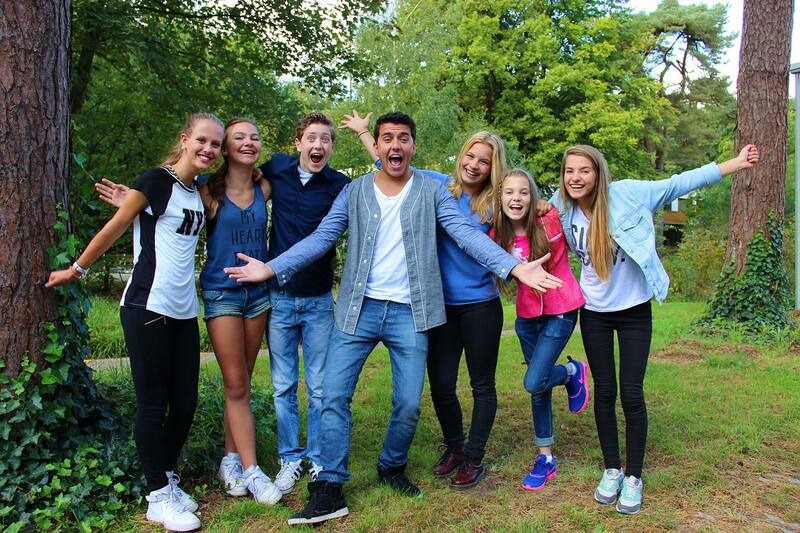 ESCKAZ continues series of interviews with participants of Junior Eurovision Song Contest 2014. Next our guests are members of Sympho-Nick trio Sofia Kutsenko, Amaliya Krymskaya and Marta Rak. 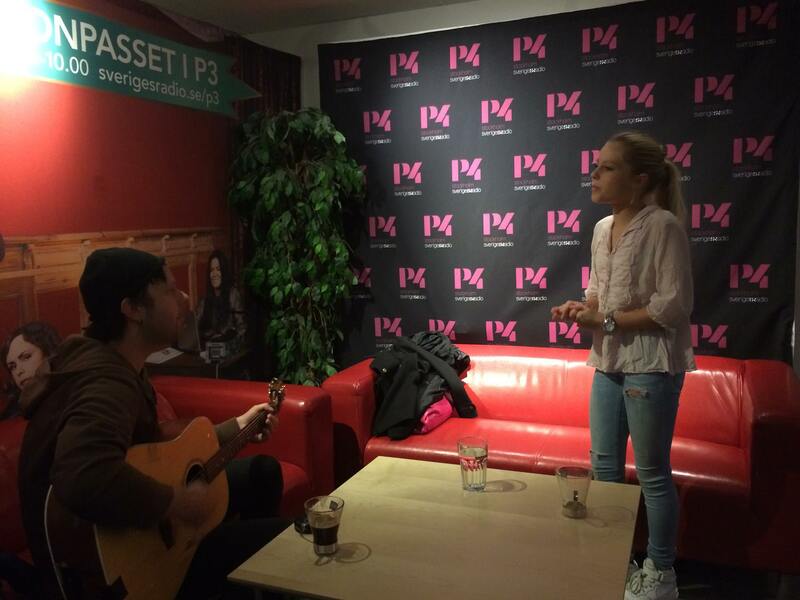 At the contest they will perform song "Spring Will Come". Check the interview with them here. "According to the rules of "Junior Eurovision 2014", broadcaster is allowed to run an internal preselection for it. This means that the decision was made by the organizer of the Russian preselection - editorial team of "Carousel" channel. This channel is a joint project of Channel One and RTR. Therefore, the winner of the project "The Voice. Kids" seemed to them the most obvious option. So we can say that the victory of Alisa in this project of Channel One was the selection itself. 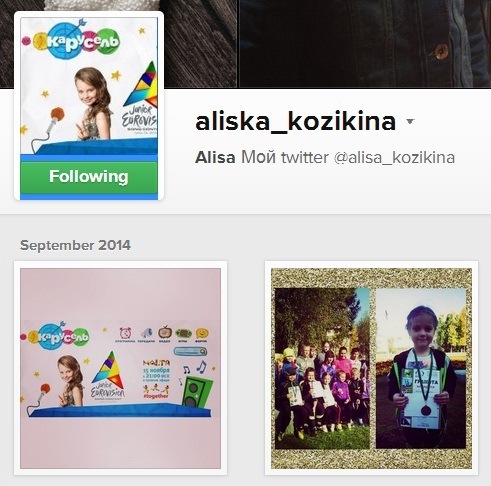 To me, the decision to send Alisa to the Junior Eurovision was a surprise, even shock". "I certainly had no task to appeal for the jury votes, when we started preparations. My task was to make a song for Alisa that will fit her image and voice. It will be a beautiful composition in a major musical scale. Incidentally, music and lyrics to the verses Alisa has written herself. I completed the music in the chorus, Olya Seryabkina of Serebro helped her with lyrics, and that's how we've got our creative team". "If we take as a basis the talent of Alisa, of course, the chance of victory is high, and even the highest. But we understand what is the current mood in Europe with regard to Russia and all things Russian. I know this firsthand. I have many friends in Europe and I just recently was there and saw the hatred towards us. So I think that for political reasons, our victory in "Eurovision" will be totally impossible. Today "Russophobia" in Europe is same as "Ebola" in Africa. I'm sorry, but I'm sure that by it will be affected also our art, and books, and our artists, intellectuals. So we are unlikely to win. But I know that Alisa with her song will remain in the hearts of millions of people. And for her it is a great chance to demonstrate herself to the world"
"I know that both the first and subsequent editions of "The Voice.Kids" show will deliver to the world the future elite of the Russian music stage. Just trust me. These children, including Alisa, indeed, have a unique talent that I will help them to develop, and, of course, we will try everything that we can. With Alisa, of course, I'm going to continue working. And I certainly will do my best to ensure that she becomes a star. And, perhaps, the world famous star. Because she deserves it, because she is very talented, bright, she has an absolutely amazing voice and feeling of the music. It is so rarely combined in one person"
Official Junior Eurovision website has declared today that tickets to the final of Junior Eurovision 2014 have been completely sold out in less than 10 days time. However, according to the Ooii ticketing agency, there still is possibility to purchase tickets for the final: they are available in sectors Platinum G and H (even 9 seats in a row for big company). Limited number of tickets is also available in Platinum F sector and all 3 Gold sectors. Tickets to the "Jury Final" (Friday evening dress rehearsal) have been released for sale by PBS Malta today. The prices of the tickets for the Jury Final show are as follows: €10 Standing; €15 Gold; €30 Platinum. Sale for both final and dress rehearsal tickets is organized by Ooii website. Read more about ticket sales on our event page. According to the lyrics published today by the official Junior Eurovision website, last chorus of Belarus entry "Sokal" will be performed in English language. However, the Belarusian delegation has informed us the final decision on this matter is not yet taken. Nadezhda Misyakova is in studio today and will test various bilingual options, and depending on the result it will be decided either to leave full Belarusian version or to sing the small part of lyrics in English. You can check the English chorus below and full lyrics at Belarus page. Meanwhile, previous weekend was busy for Nadezhda with performances in Mogilev (Closing ceremony of animated movies festival "Animayovka 2014"), Silichi (Talantented Family contest) and Borisov (Anniversary of Children's House). You can check some photos below and watch the latest BTRC report on how Nadezhda copes to combine preparations with school studies here. Music video for the entry of Sophia Patsalides "I Pio Omorfi Mera" singing for Cyprus has been published today by Silver Spotlight, production group behind Sophia's entry and preparations for the contest. The music video presents bilingual version, the same that will be performing in Malta. Separate English and Greek versions have also been recorded, and they were presented today on radio Kiss FM Cyprus and Radio Sfera respectively. This year’s show will feature a range of music styles, taking a step away from the usual Junior Eurovision tradition, but at the same time keeping in touch with its roots. 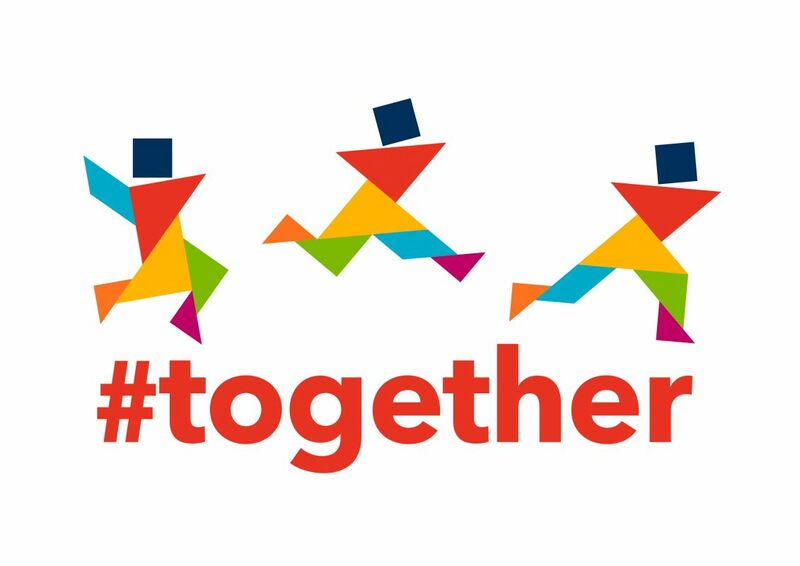 The theme chosen for this year’s contest, #together, inspired the producers to combine different styles of dances, special effects and lighting. The performances will take the viewer into a whirlpool of music styles, ranging from classical music and dance, to electro, DUB step and futuristic music with this year’s Junior Eurovision Contests aiming to attract a teenage audience as well as those of younger ages. The show will feature more than 300 performers which are being all coordinated by Gordon Bonello, who with their unique qualities will add a flavour to their specific act. Maltese people will know Gordon from several shows he has had on the island, whilst Eurovision fans will remember him for presenting Malta Eurovision Song Contest in 2013. Some 40 vocalists together with session musicians are going to be involved in the Common Song which has been composed by Elton Zarb and Gordon Bonello and written by Matt Muxu Mercieca, who also wrote the lyrics to "The Start". The name of the Common Song is "#together", and the lyrics are written with a positive message in mind. All participants will be involved in the Common Song, as is usual at Junior Eurovision, to show the spirit of togetherness. Russian broadcaster "Karusel" reports on it's website that winner of "The Voice. 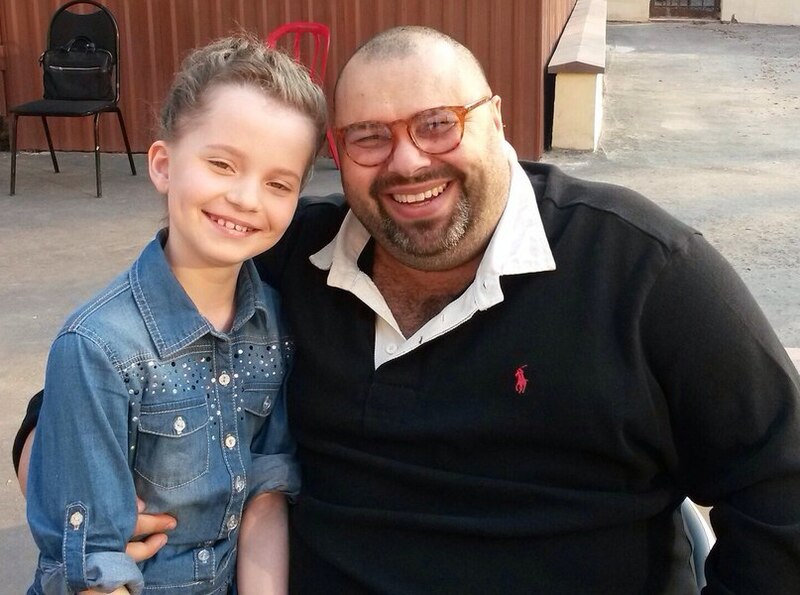 Kids" Alisa Kozhikina will represent Russia at Junior Eurovision Song Contest 2014. You can read more about her on our Russia page. ESCKAZ was also informed it will be production center of Max Fadeev responsible for the preparations of the singer. Fadeev's songs represented Russia at adult Eurovision twice - in 2004 and 2007. For Junior Eurovision composer prepared song "Dreamer", lyrics to which wrote member of Serebro group (Eurovision 2007) Olga Seryabkina and Alisa Kozhikina herself. "A long time ago, even before "The Voice. Kids", my vocal coach in Kursk said: "I'll see you someday on the Eurovision stage". I couldn't even imagine that. And then everything happened so quickly and unexpectedly. We were on "The Voice" tour when I saw adults backstage saying something to each other and everyone was looking at me. Mama said that they have great news for me, which they will announce in the evening. I remember that it was my great desire to finally find this secret revealed. I was so happy that I did not know what to say in response. I remember sitting in the hotel room all night, being afraid that it could all turn to be just a night dream"
Entry of Ula Ložar will be presented by TV Slovenia on October 5 in Sunday Afternoon Show NPU. Since her entry is not finished yet, today broadcaster has invited Ula to perform ESC winning song of Marija Šerifović - Molitva. She took part in the morning show "Dobro jutro" together with her mother Klara and vocal coach Marjetka Vovk. "When children get engaged into something, it must first and foremost to be fun for them. If you're pushing some interests on them, there will be no effect. Ula is a very good girl, she learns everything you tell her,"
said vocal coach, adding that she will not give promise for any of her pupils to become a "star". "Ula knows that school in the first place. Even if you get a little 'wings', you have to cut them a bit. Ula has no problems to be standing on the real ground". Anne and Anique have been declared as winners of the wildcard round. You will be able to see how they were informed about this by show host Jan Smit on Thursday at 16.25 CET in the Wildcard Report on NPO Zapp. They now join Suze, Chelsea, Julia and Sebastiaan in the Junior Songfestival final. Julia and Sebastiaan have qualified to the final. Watch the show again here or separate videos on Youtube. Live: 19.00 CET, Junior Songfestival (The Netherlands), 2nd semifinal, NPO3/Z@pp, online. Wildcard vote among 4 non-qualifying acts will open on 20.00 CET and will close on Sunday at 10.00 CET. Small delay in presentation of Sophia Patsalides' entry for Cyprus. Presentation of the music video is now planned on CyBC on 24th of September while the radio premiere of the song will take place on Kiss FM Cyprus on 25th. Today at a meeting in the country, participation in Junior Eurovision 2014 was approved by the Director General of San Marino RTV Carlo Romeo. Details on participation will be made ​​public at a press conference on September 29. Премьера песни России на Детском Евровидении 2014 Dreamer Алисы Кожикиной. Юные артистки ПЦ "Paradiz" трио "Sympho-Nick", которые в этом году отправятся на Мальту представлять Украину на Детском Евровидении, активно готовятся к приближающемуся финалу. Вместе с известным композитором и продюсером Михаилом Некрасовым все свои будни София, Марта и Амалия проводят на репетициях, где активно занимаются постановкой номера на песню, которая официально будет называться "Spring Will Come". Один из двух братьев Игнатовых, которые будут сопровождать своей игрой на фортепиано выступление Крисии Тодоровой на Детском Евровидении 2014, Хассан Игнатов, в эти дни принимает участие в 12м Международном Детском Музыкальном Конкурсе Ротари, который проходит в Москве. Видео его выступлений вы можете посмотреть здесь: 1й раунд, 2й раунд, Репетиция 1, Репетиция 2, Финал. Хассан занял 4е место, несмотря на то, что у него не было профессиональной подготовки к конкурсу, а единственным его музыкальным педагогом был его брат-близнец Ибрагим. С более подробной информацией о Крисии и братьях Игнатовых вы можете познакомиться на странице Болгарии. Юлия ван Берген представит Нидерланды с песней "Around". С дополнительной информацией о ней вы можете познакомиться на странице Нидерландов. Ее первую реакцию вы можете увидеть здесь. Запись шоу вы можете увидеть здесь или отдельные видео на Youtube. Прямой эфир: 21.00 Москвы, Junior Songfestival (Нидерланды), Финал, NPO3/Z@pp, online. Смотрите репетиции и интервью: Anne & Anique, Suze, Chelsea, Julia, Sebastiaan. Весь день - репортажи из-за кулис с Милене и Росанне на сайте AVROTROS. Финалисты также приняли участие в программах Zapplive и Kids Top 20. AVROTROS не потребовалось на это много времени: голландский телевещатель открыл процесс приема заявок на участие в Junior Songfestival 2015 даже не сразу же после международного финала в ноябре, а в день национального финала 2014. Приглашение от Яна Смита вы можете увидеть здесь. Важным изменением в правилах стало то, что в дополнение к оригинальным песням, также необходимо подавать и кавер-версию любой другой известной песни. Она может быть записана акапелла или с инструментальным сопровождением. Поданные кавер-версии не будут публиковаться на сайте, но будут учитываться при прослушиваниях и принятии жюри решения. Как обычно, заявки не обязательно должны быть записаны в профессиональной студии. Достаточно просто напеть песню акапелла, так, чтобы это дало хорошее представление о ее мелодии и тексте. В сочинении и записи песни детям могут помогать взрослые. Есть правда замечание, что вайлдкард на прослушивания могут получить только песни, написанные участниками самостоятельно. Прием заявок производится онлайн. Как оригинальная песня, так и кавер-песня должны быть загружены сначала на сайт Youtube, и затем ссылки на них включены в заполняемую форму. Также возможно отослать песни по почте на CD или DVD. Крайний срок приема заявок - 7 марта 2015 года. Правила упоминают, что участникам должно быть не менее 10 и не более 15 лет на день международного финала в 2015 году - что означает то, что Нидерланды примут участие в Детском Евровидении 2015. Логотип Детского Евровидения 2014, который создал дизайнер Дуан Лаус из компании WE MEDIA по заказу мальтийского вещателя PBS, украсил здание творческого центра PBS в Гвардамангдже, сообщает официальная страница Детского Евровидения в Facebook. В то же время Хорватия отказалась от участия во взрослом Евровидении 2015. Группа из пяти девушек, получившая название "The Peppermints" представит Сан-Марино на Детском Евровидении 2014 с песней "Breaking My Heart", которую написали Люка Медри (член группы Khorakhanè) и Крис Лаполла (участник группы Indigo light club). Арт-директором и руководителем проекта, а также соавтором песни является Антонелло Кароцца, бывший конкурсант Сан-Ремо, Amici, российского отбора на Евровидение 2010 и наставник прошлогоднего конкурсанта Микеле Перниолы. В состав группы вошли 15-летняя Анита Симончини из Монтеджардино, Сан-Марино и итальянки 14-летняя Рафаэлла Перниола (сестра Микеле) из Паладжано, провинция Таранто, 14-летняя Грета Довери из Кащине ди Бути в провинции Пиза (известная также по своим выступлениям в программе "Il Canto" на Canale 5 и в фестивале "Sanremo Junior International" (2е место), победительниа более 10 музыкальных конкурсов), 15-летняя Арианна Уливи из Галеаты в провинции Форли-Чезена, и 15-летняя Сара Далл'Олио из Червии в провинции Равена (победительница конкурсов "La vela d'argento", "Voci Nuove a Villafranca", "La musica ci unisce" и др.). Эту информацию сегодня сообщил итальянский журнал "TV Sorrisi e Canzoni". По его данным, все девочки действительно были выбраны из рамок фестиваля "Vocine Nuove di Castrocaro", который отныне будет служить партнером телекомпании RTV San Marino по отбору участников для Детского Евровидения. Известно, что Грета и Сара (3е место в категории Junior) были финалистками этого конкурса в 2013 году. Информацию о выборе The Peppermints на Детское Евровидение подтвердил на своей странице в социальной сети арт-директор проекта Антонелло Кароцца. Презентация песни Сан-Марино состоится на пресс-конференции в понедельник, 29 сентября, в 15.00 Москвы. Съемки видеоклипа на песню Черногории сегодня продолжились в Knightsbridge Schools International Montenegro, где в 8м классе занимается одна из участниц дуэта Лейла Вулич, которая и предложила провести часть съемок в ее родной школе. В съемках приняли участие одноклассники Лейлы и ученики других класов, а также учитель математики г-н Зак. Третьим месторасположением для съемки клипа стала Пожарная станция Котора. Ожидается, что премьера видеоклипа пройдет на следующей неделе. Испанский вебсайт Eurofestival сообщает сегодня о том, что Телевизионный Комитет Евровидения отложил без утверждения предложение организационной группы Детского Евровидения разрешить принимать участие в конкурсе телеканалам, не являющимся членами Европейского Вещательного Союза. Ранее, исполнительный супервайзер конкурса от ЕВС Владислав Яковлевм заявлял о том, что ЕВС ведет переговоры с рядом коммерческих телевещателей, заинтересованных в присоединении к Детскому Евровидению, из тех стран где основные каналы, члены ЕВС, такое участие категорически отвергают. Особенно он отметил интерес со стороны коммерческих каналов Испании. Однако, принятое решение не позволит коммерческим каналам дебютировать в Детском Евровидении, по крайней мере в 2014 году. Нынешние правила Детского Евровидения гласят, что в нем могут принимать участие только вещатели, являющиеся активными членами ЕВС, добавляя "ЕВС оставляет за собой право модифицировать формат шоу, для чего организационная группа конкурса должна получить согласие от Телевизионного Комитета Евровидения". Окончательное решение по этому вопросу будет принято уже после окончания конкурса 2014 года. (Приведенная ниже твиттер цитата содержит ошибку. Нужно читать JESC 2014, а не 2013). Маша Вуядинович и Лейла Вулич сегодня были замечены на видеосъемках на набережной Пине города Тивата. Муниципалитет Тивата предложил им свою поддержку в производстве видеоклипа и также окажет другую спонсорскую помощь, в ответ туристическая реклама города будет показана во время эфира шоу в ноябре. Вы можете прослушать отрывок черногорской песни и посмотреть короткое видео со съемок здесь. Съемки будут продолжены завтра в Которе. Режиссер видеоклипа Драшко Джурович, оператор - Вешко Баланджич. Всеобщие фавориты Милене и Росанне будут вести репортажи из-за кулис Junior Songfestival в течение дня финала - субботы 27 сентября. Есть ли у вас вопросы финалистам или ведущему Яну Смиту? Отправляйте ваши вопросы сюда, и возможно, они будут отвечены в специальных репортажах. Финалисты весь день проведут в студии репетируя, примеряя костюмы и делая макияж... но так же у них будет достаточно времени для общения. Помимо репортажей, за кулисами в комнате визажистов и в студии будут установлены специальные камеры, потому посетители сайта AVROTROS не пропустят ни одного интересного момента! ESCKAZ продолжает серию интервью с конкурсантами Детского Евровидения 2014. Наши следующие гости - участницы трио Sympho-Nick София Куценко, Амалия Крымская и Марта Рак. На конкурсе они исполнят композицию "Spring Will Come". С интервью вы можете познакомиться здесь. Таблоид SUPER пообщался с композитором и продюсером Максимом Фадеевым, который рассказал о том, как проходил в России отбор на Детское Евровидение и шансах Алисы Кожикиной на победу в нем. "Согласно правилам «Детского Евровидения» в 2014 году страна-участник могла произвести внутренний отбор. Это означает, что решение принял организатор российского отбора — редакция ТК "Карусель". Этот телеканал является совместным проектом Первого канала и ВГТРК. Поэтому победитель проекта «Голос.Дети» показался им наиболее очевидным решением. То есть можно сказать, что победа Алисы в проекте на Первом канале и явилась отбором. Для меня самого решение отправить Алису на Евровидении явилось неожиданностью, даже шоком". "У меня уж точно не было задачи "зацепить" жюри на «Евровидении», когда мы готовились. Была задача сделать песню для Алисы, которая подойдет ее образу и голосу. Это будет мажорная красивая композиция. Кстати, музыку и текст к куплетам написала сама Алиса. Я дописал музыку в припевах, Оля Серябкина из SEREBRO — соавтор текста. Вот такой у нас получился творческий тандем". "Если брать за основу талант Алисы, то, конечно, шанс на победу высок, а то и самый высокий. Но мы прекрасно понимаем, какой настрой сегодня в Европе по отношению к России и ко всему русскому. Я знаю это не понаслышке. У меня много друзей в Европе. И я как раз недавно там был и видел, как нас ненавидят. Поэтому я думаю, что по политическим причинам наша победа в "Евровидении" будет невозможна. Сегодня в Европе русофобия — как "эбола" в Африке. Мне очень жаль, но я уверен, что под "моховик" попадут и наше искусство, и книги, и наши артисты, творческая интеллигенция. Так что победим мы вряд ли. Но я знаю, что Алиса со своей песней останется в сердцах миллионов людей. И для нее это — огромный шанс показать себя всему миру"
"Я знаю, что и первый, и последующие выпуски шоу "Голос. Дети" явят миру будущую элиту российской сцены. Просто поверьте мне. Эти дети, и Алиса в том числе, действительно, имеют уникальный талант, который я буду помогать им развивать, и, конечно, мы будем пробовать все, что только можно попробовать. С Алисой, конечно, я собираюсь работать и дальше. И я обязательно сделаю максимум для того, чтобы она стала звездой. А, возможно, и мировой. Потому, что она достойна этого, потому, что она очень талантлива, ярка, у нее совершенно изумительный голос и чувство музыки. И все это крайне редко сочетается в одном человеке"
Официальный вебсайт объявил сегодня, что все билеты на финал Детского Евровидения 2014 были проданы менее чем за 10 дней. Однако, согласно информации билетного агента Ooii, билеты на финал шоу все еще можно приобрести: свободные места есть в секторах Platinum G и H (даже 9 мест в ряд для большой компании). Также ограниченное количество билетов есть на сектор Platinum F и три сектора Gold. Сегодня в продажу также поступили билеты на т.н. "Финал жюри" (вечернюю пятничную генеральную репетицию). Цены на билеты на репетицию составляют: 10 евро - стоячие места, 15 евро - зона Gold, 30 евро - зона Platinum. Продажа билетов на финал и на репетицию организована вебсайтом Ooii. Дополнительную информацию о продаже билетов на шоу вы можете найти на нашей странице организации мероприятия. Согласно опубликованному сегодня на официальном сайте Детского Евровидения тексту, последний припев белорусской песни "Сокал" на Евровидении будет исполнен на английском языке. Однако, как проинформировали нас представители делегации Беларуси, окончательное решение по этому вопросу пока еще не принято. Надежда сегодня записывается в студии и протестирует звучание различных двуязычных вариантов, и в зависимости от получившегося результата, будет принято решение сохранить текст песни полностью на белорусском, или исполнить его небольшую часть на английском языке. Тем временем, прошлые выходные выдались для Надежды довольно занятыми. Она выступила в Могилеве (церемония закрытия фестиваля анимационных фильмов "Анимаевка 2014"), Силичах (конкурс Талантливая семья) и Борисове (юбилей Дома ребенка). Вы можете увидеть ряд фото с данных мероприятий ниже, и посмотреть свежий репортаж БТРК о том, как Надежде удается совмещать подготовку со школьными занятиями здесь. Сегодня продюсерской компанией Silver Spotlight, отвечающей за подготовку к Детскому Евровидению представительницы Кипра Софии Патсалидес был опубликован видеоклип на ее конкурсную композицию "I Pio Omorfi Mera". В клипе звучит официальная двуязычная версия песни, именно такая, как прозвучит и на самом конкурсе на Мальте. Были также записаны отдельные английская и греческая версии композиции, которые сегодня были презентованы радиостанциями Kiss FM и Radio Sfera соответственно. В этом году в шоу прозвучит музыка весьма различных стилей, что немного уводит от обычной практики Детского Евровидения, но в то же время сохраняет близость к его корням. Тема конкурса этого года #together (#вместе) вдохновила продюсеров совместить различные стили танцев, спец.эффектов и освещения. Выступления закружат зрителя в хороводе музыкальных стилей, разнящихся от классической музыки и танца, до электро-, дабстепа и футуристической музыки. Это также позволит привлечь к конкурсу внимание как подростковой аудитории, так и детей младшего возраста. В шоу примут участие более чем 300 исполнителей, которых координирует музыкальный продюсер Гордон Бонелло, и их индивидуальные неповторимые качества придадут особый оттенок каждому из номеров. Мальтийские зрители хорошо знакомы с творчеством Гордона, который организовывал на острове ряд крупных музыкальных шоу, а поклонникам Евровидения он будет известен прежде всего как ведущий мальтийского отбора на взрослое Евровидение в 2013 году. В исполнении общей песни, которую написали композиторы Элтон Зарб и Гордон Бонелло на слова Матта Муксу Мерчеки (вместе с Зарбом соавтора песен "The Start" Гайи Кауки и "Diamonds" Федерики Фальцон), примут участие около 40 вокалистов вместе с сессионными музыкантами. Песня также получила название "#together", и ее текст несет в себе этот позитивный месседж. В исполнении песни будут задействованы и все конкурсанты шоу, как обычно бывает на Детском Евровидении, для того, чтобы поддержать дух единения. Российский телеканал "Карусель" сообщает на своем вебсайте, что победительница "Голос. Дети" Алиса Кожикина представит Россию на Детском Евровидении 2014. Подробнее о ней вы можете прочитать на нашей странице России. ESCKAZ также стало известно, что за подготовку певицы будет отвечать продюсерский центр Максима Фадеева. Его песни представляли Россию на взрослом Евровидении дважды - в 2004 и 2007 годах. Для Детского Евровидения композитор подготовил песню "Dreamer", текст к которой написали солистка группы Серебро Ольга Серябкина и сама Алиса Кожикина. "Давно, ещё до "Голоса", моя учительница в Курске говорила: «Я увижу тебя на сцене Евровидения». Я даже представить себе этого не могла. Всё получилось быстро и неожиданно. Мы были на гастролях "Голоса", когда я увидела, как взрослые за сценой что-то говорят друг другу и все смотрят на меня. Мама сказала, что у них есть для меня отличная новость, о которой они объявят только вечером. Помню, что до вечера мне больше всего на свете хотелось узнать, что это за секрет. Я так обрадовалась, что не знала, что говорить. Помню, как просидела в номере весь вечер, боясь, что мне это всё приснилось". Песня Улы Ложар будет представлена Словенским телевидением 5го октября в воскресной дневной программе NPU. Поскольку ее песня еще не завершена, сегодня телевещатель пригласил Улу исполнить песню Марии Шерифович "Молитва", с которой она одержала победу на Евровидении 2007. Ула приняла участие в утренней программе "Dobro jutro" вместе со своей мамой Кларой и педагогом по вокалу Марьеткой Вовк. "Когда дети начинают чем-то заниматься, это должно прежде всего быть для них удовольствием. Если их принуждать к каким-либо интересам, эффекта это не даст. Ула - хорошая девочка, она быстро учит все, что ей рассказываешь,"
говорит ее учительница, добавляя, что не дает пустых обещаний о том, что дети, которые с ней занимаются в будущем станут "звездами". "Ула знает, что важнее всего - учиться. Даже если у тебя вырастают маленькие "крылья", то приходится иногда их подрезать. У Улы нет проблем с этим - она твердо стоит на земле". Анне и Аник провозглашены победительницами вайлдкард раунда. Вы сможете увидеть, как именно они узнали о своей победе от ведущего шоу Яна Смита в четверг в 16.25 местного времени в специальном репортаже на NPO Zapp. Теперь они присоединятся к Сюзе, Челси, Юлии и Себастиану в финале Junior Songfestival. Юлия и Себастьян вышли в финал. Запись шоу вы можете увидеть здесь или отдельные видео на Youtube. Прямой эфир: 21.00 Москвы, Junior Songfestival (Нидерланды), 2й полуфинал, NPO3/Z@pp, онлайн. Видео с репетиций: Первые репетиции: Anique & Anne – Dromen, Beau – De Wind, Julia – Around, Sebastiaan – Samen. Вайлдкард голосование среди 4х участников не вышедших в финал откроется сразу после окончания шоу в 22.00 Москвы и продлится до воскресенья, 12.00 Москвы. Небольшая задержка с презентацией песни Софии Патсалидес от Кипра. Презентация видеоклипа теперь запланирована в эфире CyBC 24го сентября, а радио премьера песни на Kiss FM Кипр 25го. На сегодняшнем заседании, вопрос участия в Детском Евровидении 2014 был одобрен генеральным директором телеканала San Marino RTV Карло Ромеро. Дальнейшая информация об участии Сан-Марино будет объявлена на пресс-конференции национального вещателя, намеченной на 29 сентября.